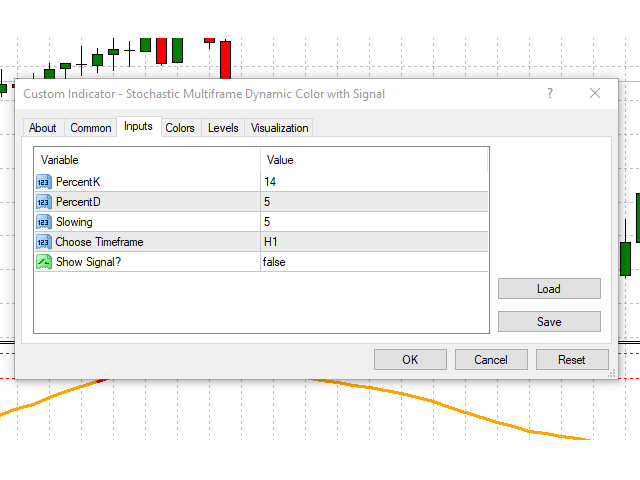 Stochastic Multiframe Dynamic Color with Signal indicator allowes You to set stochastic to timeframe different to chart timeframe. 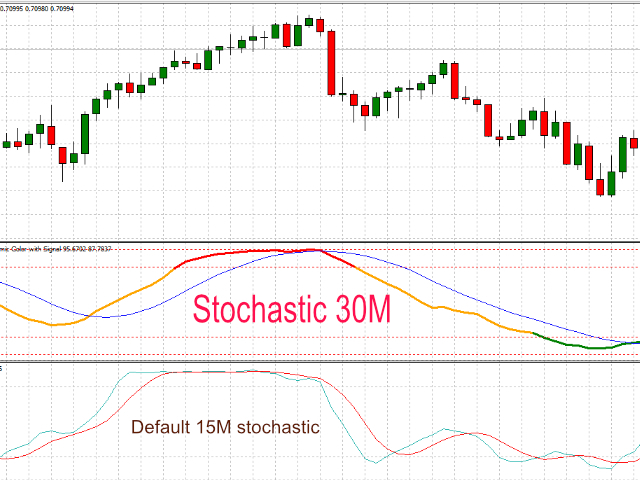 It shows real time indication of stochastic value on higher timeframes specified by user. Dynamic color change help quicker spotting of overbought and oversold areas. option to switch off signal line. 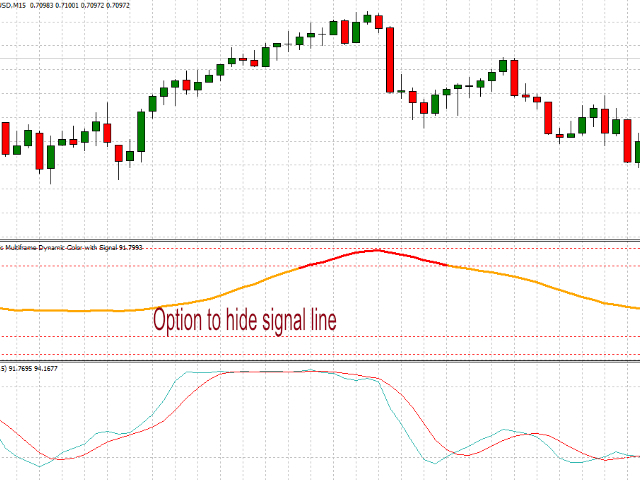 Indicator can be used as standard stochastic oscilator simply by setting timeframe of indicator to timeframe of chart. 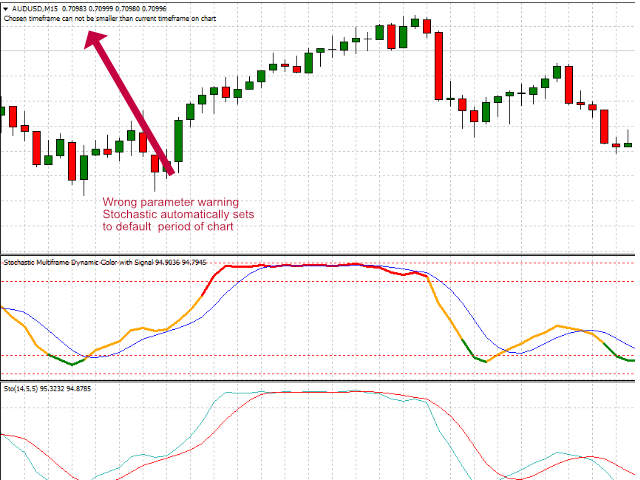 If user choose smaller timeftame then chart timeframe, indicator automatically sets stochastic timeframe to chart's timeframe and issues warning on chart.